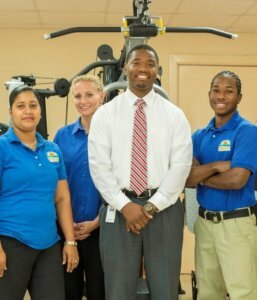 As the leading provider of Physical Therapy services in the Virgin Islands region, our focus is on delivering exceptional results and services, learning new techniques, advancing our capabilities, and of course, having an exceptional team environment. Desirable candidates have a strong desire to help people, and want to obtain a long-term position in a family-like environment where we strive to put our patients first. We are currently seeking a Physical Therapist who is committed to improving the health of the community. Favorable candidates are compassionate and forward-thinking with experience assessing patients’ strengths and weaknesses and devising creative but effective treatment plans. Requirements: Applicants MUST be able to communicate effectively, have excellent organizational and time management skills, and be willing to work hard at all times. Duties may include but are not limited to: evaluating and treating patients deemed to be candidates for PT, promoting Therapy Works services at public events, and coordinating with other healthcare providers to maintain high quality patient care. Benefits: Credentialing Support, Health Insurance (Medical, Dental and Vision), Continuing Education Support, Paid Vacation and Sick Time, Relocation Reimbursement and Productivity Incentive Pay. If you love motivating people and helping ease their pain, we’re interested in talking with you. Therapy Works is a growing organization and we are always happy to meet the next great addition to our team. If any of our current opportunities interest you, please apply and tell us why you are the best fit for the position!